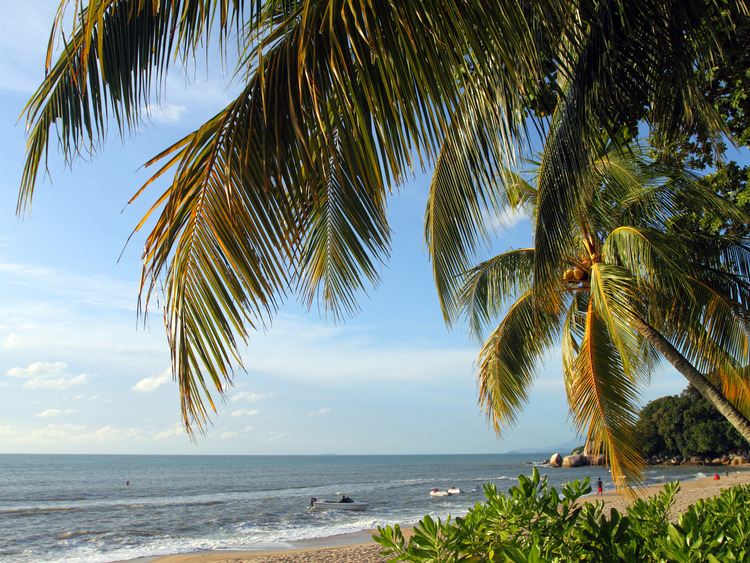 An excursion dedicated to the height of relaxation in the sun on the marvellous white Batu Ferringhi beaches. Our excursion on the island of Penang takes us directly to Batu Ferringhi on the northern side, where the most beautiful and popular of the island’s beaches are located. Also known as Foreigner's Rock, this place is very popular not only with tourists but also with the locals, who have been coming here for centuries. We are welcomed in an exclusive resort directly overlooking the beach with its coconut trees, whose green leaves are in striking contrast with the blue of the ocean. This resort is without doubt the best place to relax in the sun on the white beach of the Shangri-La bay or to go for a refreshing dip. This excursion does not include a guide. A local rep will provide general information in English. Access to the hotel swimming pool is not included in the tour.